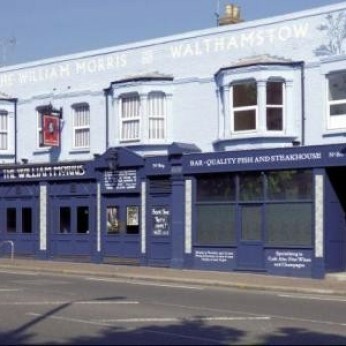 Located in the Wood Street area of Walthamstow, the William Morris Bar offers a calm and relaxing environment in which to enjoy the company of your friends and family. Free parking every day after 6.30pm and all day on Sunday. Pull up right outside our doors! Food - Our Menu Changes and evolves on a daily basis. We specialise in Steaks and Fish but we do offer vegetarian Meals. Bookings - We are perfectly set up to hold your birthday, wedding, wakes and leaving parties. These events are tailored specifically to your needs and to your budget. Events - We hold monthly Wine Tasting events, Board Game evenings, Quiz Nights, Soul & Jazz sessions. Social Media - Follow us on Twitter, Facebook or email for the latest updates on what we're up to, so that you can join us! We're really sorry but we don’t seem to have any offers or events for William Morris. We're sure there must be something happening here but they just haven't told us about it! Please do mention this to William Morris when you next visit them.